Korea’s advanced bakery skills are being passed down to generations of bakers in Vietnam with a culture familiar with bread. Activities aimed at augmenting mutual prosperity on a global scale has reached Vietnam, enabling it to prepare quality bread with its own skill. This is the first activity of its kind, aimed at enhancing levels of global mutual prosperity through the bakery. This is particularly significant as knowledge transfer has extended from electricity, electronic and information communication technologies to the service industry, including the bakery. Global food service and culture company CJ Foodville announced that it cooperated with KOICA for a social contribution program in Vietnam and opened ‘CJ baking and pastry skill department in EoungaeHansung Han-Bei Technical School of Vietnam’ on September 3. CJ Foodville begins its operation of the CJ baking and pastry skill department in EoungaeHansung, Vietnam to, as a way to spread advanced baking and pastry skill and thus improve income levels and promote the development of the local community. 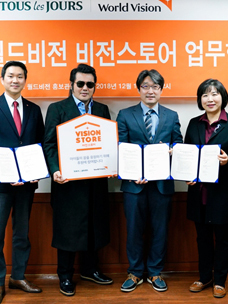 CJ baking and pastry skill department was selected as one of the businesses targeted for support as part of the Global Social Contribution Program by the Korea International Cooperation Agency (KOICA). With its ceremony to establish an MOU held with KOICA on January 16, the department has now completed over eight months. CJ Foodville has been unstinting in its efforts to establish CJ baking and pastry skill department. It has been engaged in building education facilities for baking and pastry training, while also supporting educational infrastructure including apparatus and equipment. With its opening on Sept. 3, CJ baking and pastry skill department will operate a human resources training program that will likely spread Korea’s advanced baking and pastry skills. The first two classes will accommodate a total of 50 students who will learn and get training in over 60 baking and pastry skills over six months. 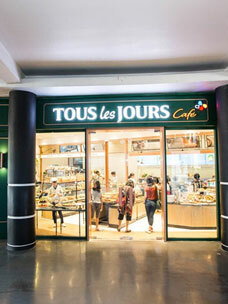 CJ Foodville’s bakery brand TOUS les JOURS runs a total of 34 stores in Vietnam and is positioned as the top bakery brand in Vietnam in terms of sales and number of stores as of last December. 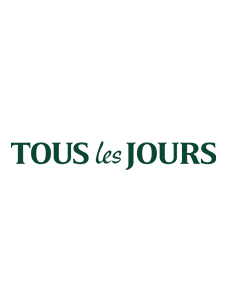 With differentiated products, service and marketing, TOUS les JOURS has been the leading bakery of the Korean Wave and is expected to make a leap forward to being the no. 1 brand in a global market as well as in Southeast Asia. A person from CJ Foodville said, “The establishment of CJ baking and pastry skill department is an opportunity to grow together with local communities in Vietnam and bring to foreign shores the spirit of CJ Foodville’s foundation philosophy ‘Contributing to a Country through Business. ’This program is not a mere aid, but a significant business opportunity that can enhance mutual and sustainable growth with Vietnamese local communities through transferring core technology and skills at the national and corporate levels, thereby securing technology and skill. CJ baking and pastry skill department plans to turn out 100 skillful students a year. 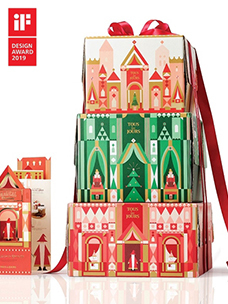 Upon their completion of the course, it will help them get started working at a local TOUS les JOURS store or other bakery store or to start up their own business for their financial independence. The costs for building a facility and educational infrastructure and running the course will be shared equally by CJ Foodville and KOICA. CJ CGV Participated in KCON 2013 Hallyu Convention in the US.